For all you Patriots fans out there comes this cool New England Patriots Super Bowl LIII Champions Football Field Runner Mat by Sports Licensing Solutions! 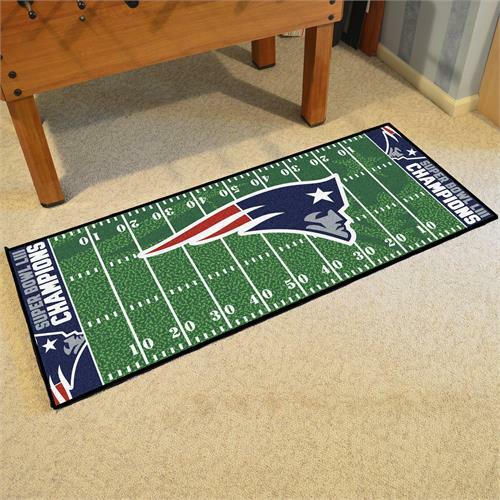 Great for game rooms, bedrooms, or anywhere you want to show some New England Patriots spirit! Made in the U.S.A. 100% nylon carpet and non-skid Duragon latex backing, 30 by 72 inches in size, and machine washable. Chromojet printed in true team colors, with the New England Patriots Super Bowl LIII Champions logo in the center.